"Successful Taoist author Ming-Dao has gathered excerpts from The Tao Te-Ching, The Yijing, and Chinese poetic tradition (derived mostly from 300 Tang Poems) in order to create a lyrical (Melancholy spring wind, pained at river sunset. ), poignant (My hair turns white in this foreign land ... and shivering animals in withered grass on every side will accompany my worried face. ), and insightful (A good fighter is never angry.) journey through Taoism. Each carefully chosen phrase is a brush stroke which paints part of a picture that elevates as it comes more and more into focus. 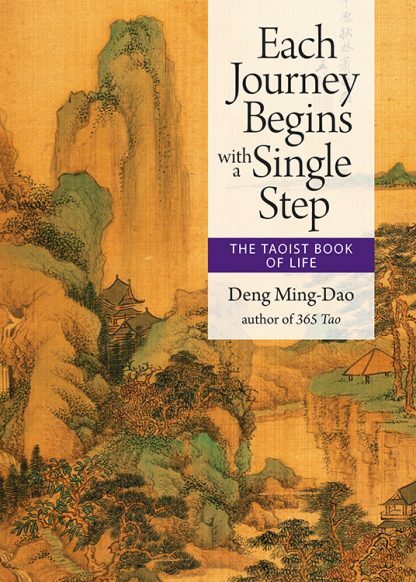 Ming-Dao�s mastery of the words of Tao serves him well in this small but powerful book. He includes a glossary at the end for those less well-versed than he is in the subject. The book can be read front to back or randomly with equal gratification. Of course, it can also be used as an oracle by customers who are inclined toward psychic guidance. It will be perfect for holiday shoppers." This is a book of guidance for life�s journey rooted in the wisdom of ancient China. Best-selling author Deng Ming-Dao provides key poetic lines that distill the essence of Taoism, organizing them in the form of a journey. The material here is drawn from three sources: The Tao Te Ching, The Yijing, and 300 Tang Poems. This is a lovely package that will function as a gift for all occasions and as an object for those looking for daily sustenance on life�s journey.